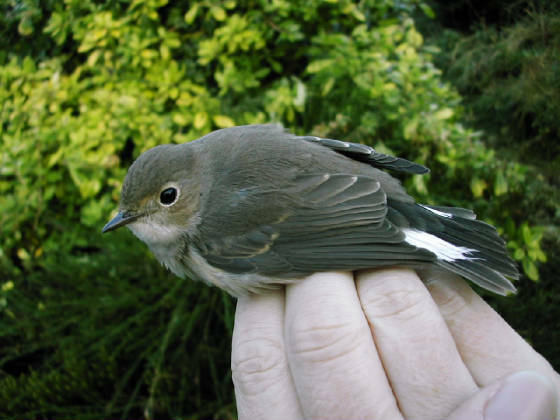 2nd or 3rd county record, 1st-winter bird trapped & ringed. 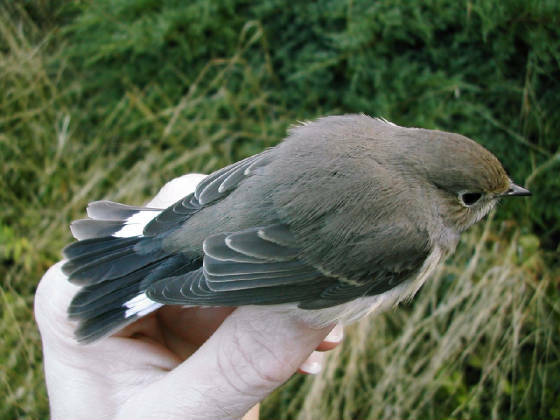 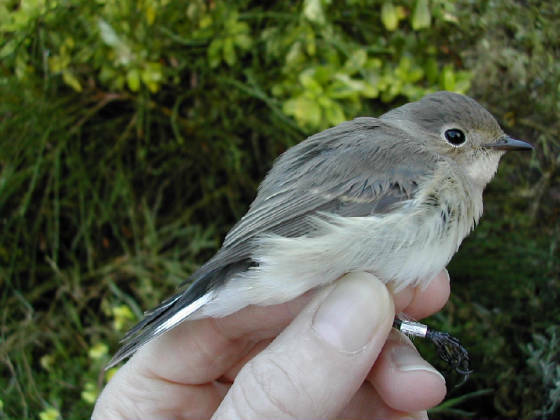 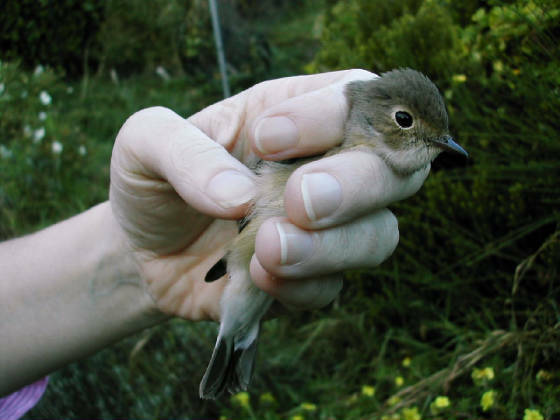 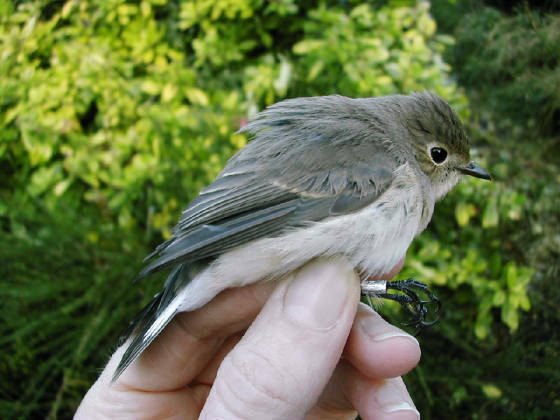 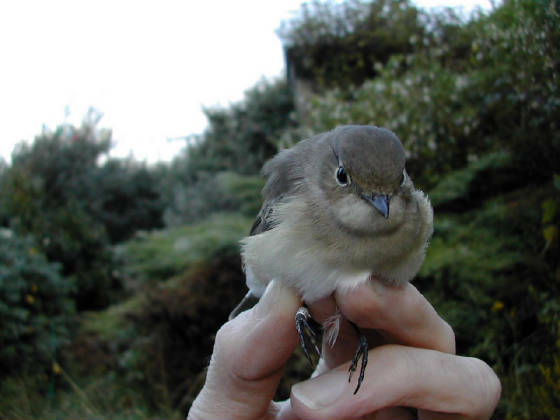 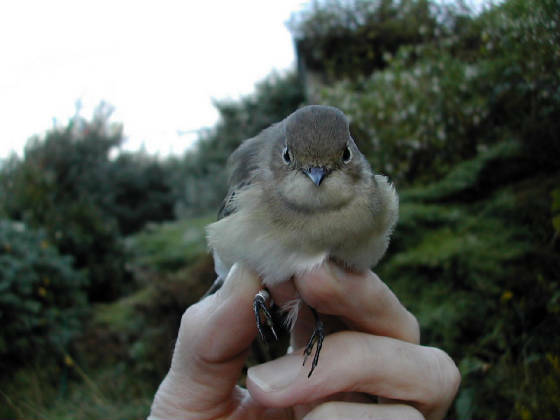 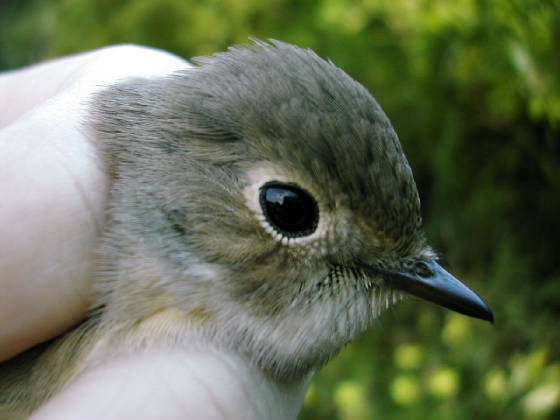 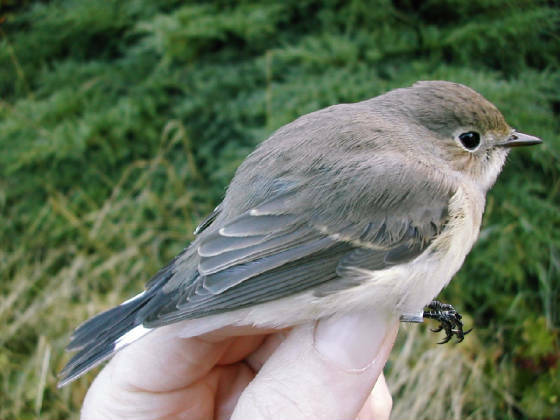 When originally trapped (it turned up in a mist-net and field views later were very brief), Taiga Flycatcher F. albicilla was considered but ruled out (on basis of tertial pattern) or at least considered unlikely. 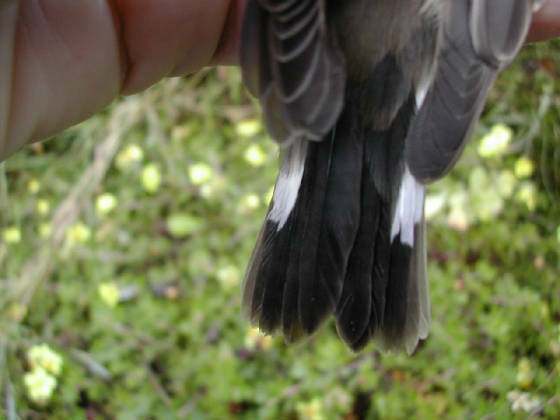 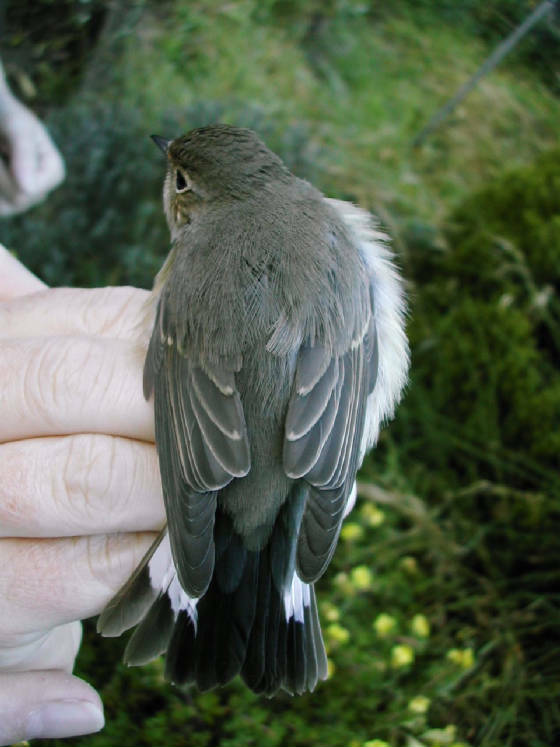 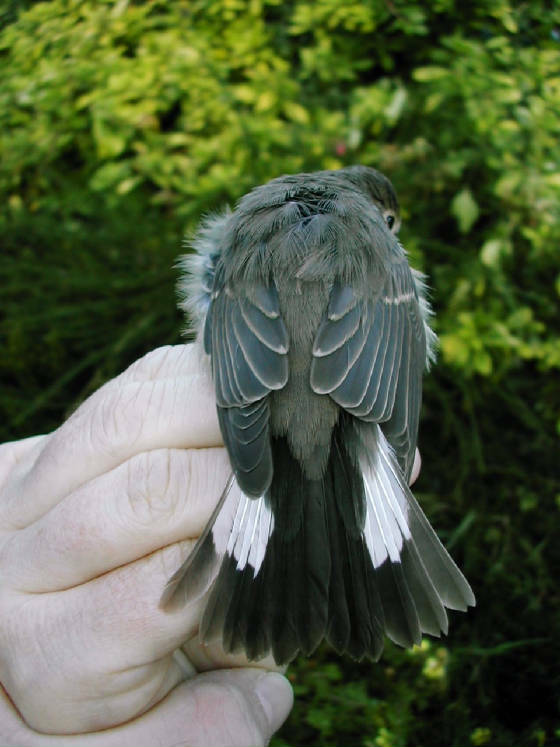 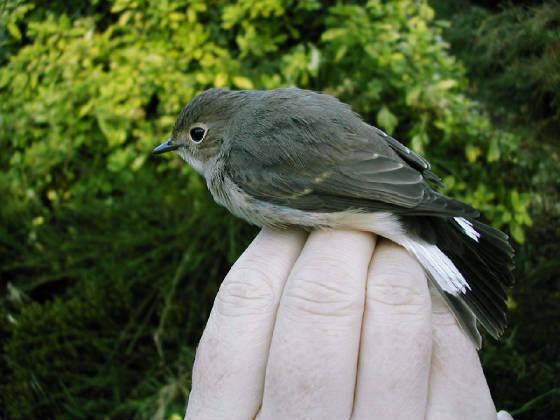 Based on some of the photos below, showing black or blackish long upppertail coverts, apparently cold-toned upperparts and apparently all-dark bill, the possibility of Taiga Flycatcher was raised online on the Irish Bird Network but some of the features pro-Taiga were considered to be photographic artefacts. 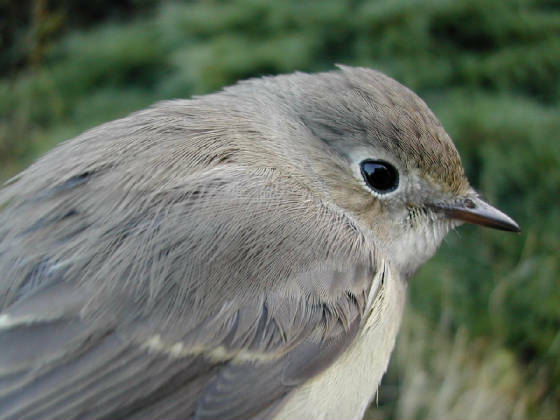 A larger selection of photos in provided here.